The heavyweight division has for so long been boxing’s glamour weight class. Nothing brings in the casual punters and excites the masses quite like a clash between two of the elite big boys. The heavyweights obviously have no weight to make as such, so can bulk up to all sorts of astronomical sizes, but the minimum level is 200lbs and weighing in below that would qualify you for cruiserweight. Over the years it has been suggested that a super-heavyweight class could be created, such is the chasm in mass between some of the smaller guys and the huge beasts that are regularly competing today. Anthony Joshua is the standout champion of the current crop, holding both the IBF and WBA titles. Manuel Charr also holds a lesser WBA strap, that he won against Alexander Ustinov, but that was not a world title fight (despite what the post-fight celebrations may have insinuated) and he is not a bonafide world champion. Deontay Wilder holds the WBC belt that he won by outpointing Bermane Stiverne but had defended his crown against a string of lesser foes until he beat up Cuban veteran Luis Ortiz over the weekend in a victory that will go some way to adding credibility to his reign. Joseph Parker won the vacant WBO belt on points against Andy Ruiz Jr and will put it on the line in a mouth-watering unification bout with Anthony Joshua at the end of the month. In the chasing pack there are more pretenders than contenders around at the moment, in a comparatively weak era. Jarrell ‘Big Baby’ Miller is an entertaining specimen who is surprisingly fleet of foot despite the mass amount of weight he carries in to the ring with him. Dillian Whyte still finds himself relevant on the scene but he has been carefully matched into the sanctioning bodies’ consciousness by manager Eddie Hearn. However, he may still find himself getting a world title tilt as stranger things have happened. The heavyweight division has been rich with superstars who have not only been famous in boxing, but in sport in general over the past decade. Right through from the likes of Jack Johnson to Joe Louis, Rocky Marciano to Muhammad Ali, Larry Holmes, Mike Tyson and Lennox Lewis, up to the recent reigns of the Klitschko brothers, we have enjoyed and endured eras in equal measure. 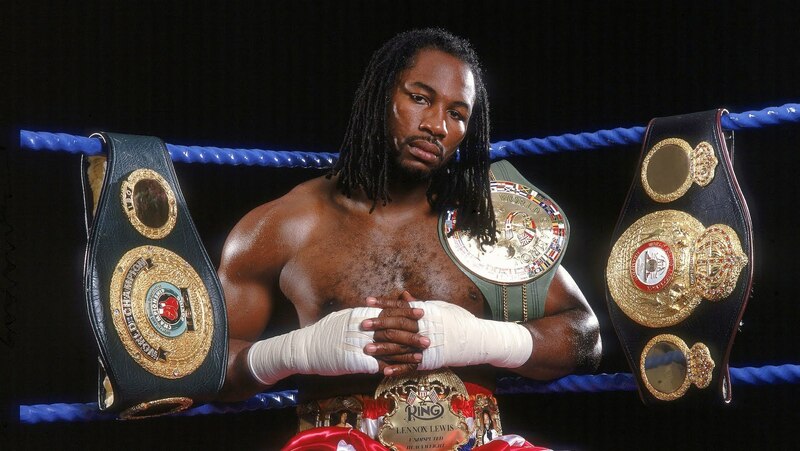 In 1999 Lennox Lewis and Evander Holyfield clashed for the right of the winner to be called undisputed heavyweight champion of the world. Lewis brought to the party a WBC belt he had reclaimed from Oliver McCall when the ‘Atomic Bull’ suffered a very public meltdown in their 1997 rematch. Holyfield held the WBA belt he had won off Mike Tyson and the IBF he had taken from Michael Moorer. Lewis was widely perceived to have done enough to win the big Madison Square Garden clash but the bout was announced as a split draw with Eugenia Williams (the Adelaide Byrd of her day) giving the fight to Holyfield 115-113 and British judge Larry O’Connell handing in a strange 115-115 drawn card. Evander was the slight favourite and walked away with an estimated $20 million compared to Lewis’ 10. The pair rematched immediately and Lewis went home with a unanimous decision win after a fight that appeared at the time to be more closely run than the first. Both Lewis and Holyfield fought Mike Tyson. Holyfield’s second bout with ‘Iron Mike’ descended into farce after the infamous ear biting incident and by the time Lennox settled the score with Tyson, the one-time ‘Baddest Man on the Planet’ was long past his best. Holyfield fought the other main rival of the generation, Riddick Bowe, three times in total, winning one and losing twice. Tyson never fought Bowe and neither did Lewis, with Bowe and his manager preferring to throw the WBC belt into the bin rather than “rematch” the man whom Lewis had stopped at the 1988 Olympics. It would be a huge shame if the likes of Deontay Wilder, Anthony Joshua and Tyson Fury could not thrash out their differences and make similar fights in this new era. Joshua-Parker and Wilder-Ortiz are two fights that will help to clear a thick mist that currently hangs ominously around the world title scene. If and when Tyson Fury returns, the pieces of the jigsaw puzzle will hopefully begin to push themselves towards a logical picture.